Many new experiences debuted across Walt Disney World last week. 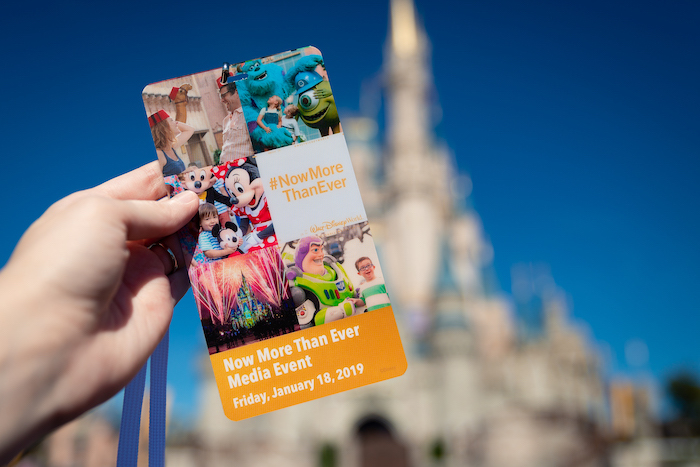 Come see why it’s a great time #NowMoreThanEver to visit WDW! First of all, we would like to thank Disney for inviting us to this special media event and for providing admission to the parks for the day so we could give you this sneak peek! This is just a snippet of the new experiences at Walt Disney World this year with a few more experiences opening up this spring. For a full list of what’s to come, check out our Announcement Recap! Now that we have the intro out of the way, let’s jump right in! Our first stop was Walt Disney Presents at Disney’s Hollywood Studios. 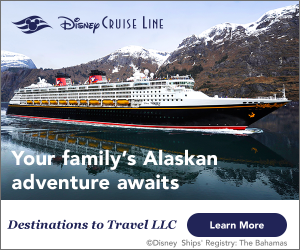 Walt Disney Presents (formerly known as One Man’s Dream) is a great place to learn the history of The Walt Disney Company and to get to know the man who started it all – Walt Disney. This is a museum-like attraction with old photos, prototypes, and videos to help tell the Walt Disney story. At the end of the attraction is an area for character meet-and-greets, which previously hosted characters like Moana, Star-Lord, and Baby Groot. 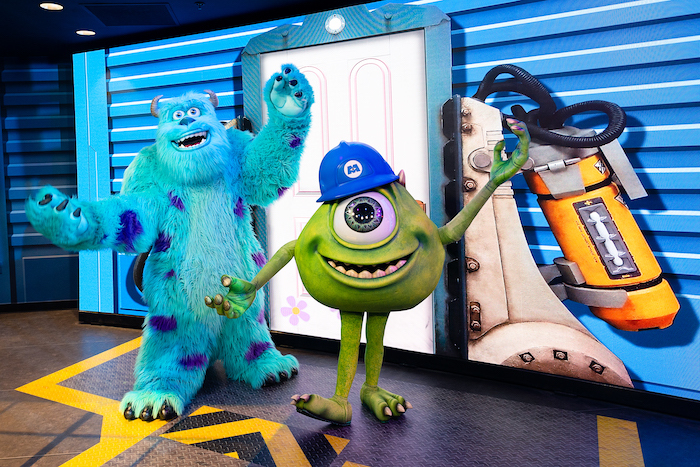 Guests can now meet Monster’s Inc. stars Mike and Sulley in the Walt Disney Presents meet-and-greet area! Mike and Sulley are now meeting guests at Walt Disney Presents at Disney’s Hollywood Studios. Photo by Courtney Reynolds. 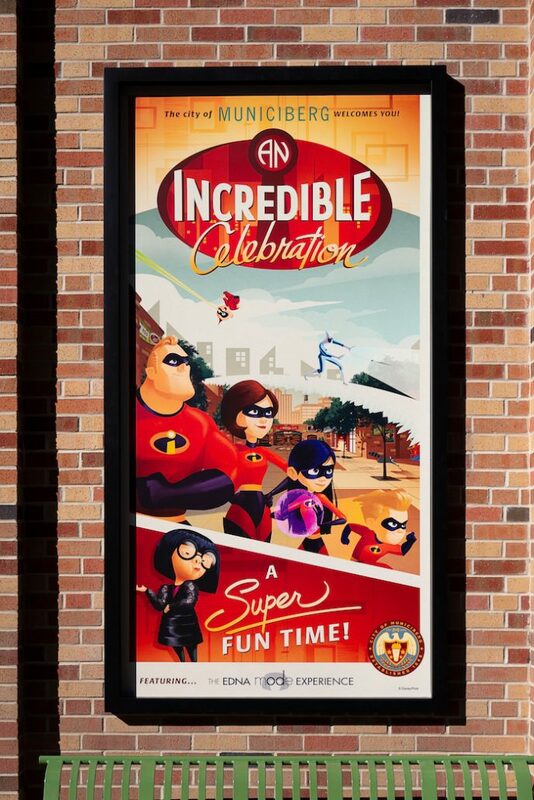 The Incredibles have taken over the former Pixar Place location for an Incredible Celebration! The area has been transformed into Municiberg, the city featured in the two Incredibles movies. The recently renovated area features two new photo spots, a snack location, a gift shop, and a special character meet-and-greet location. 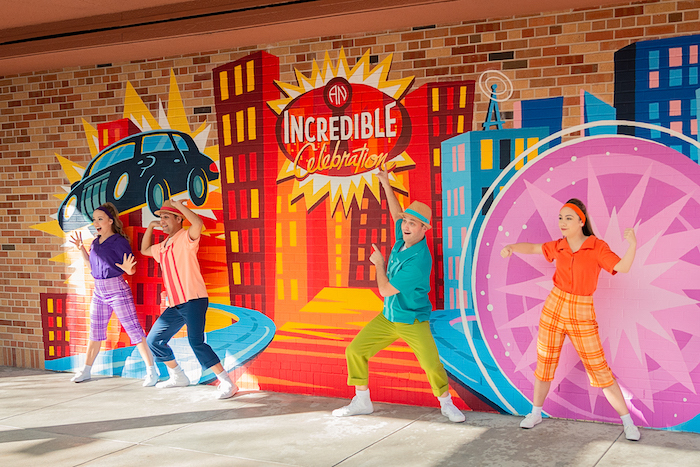 The Incredible Celebration features two new guest photo spots. Photo by Courtney Reynolds. 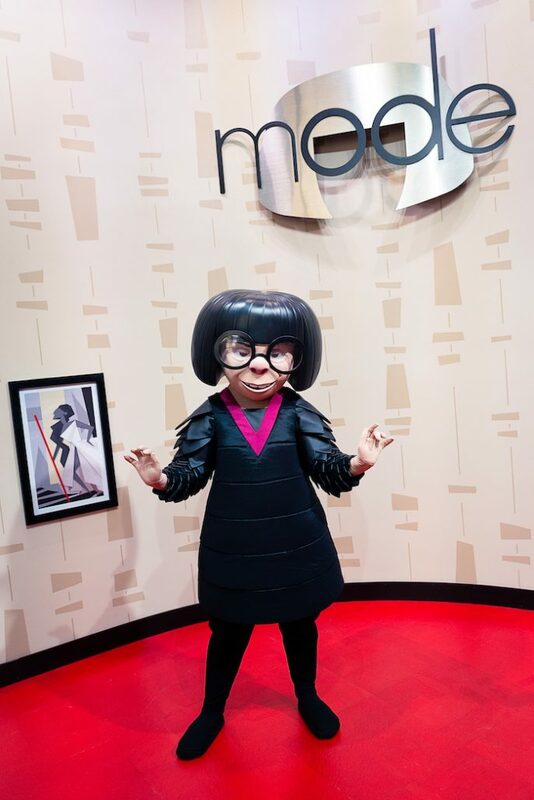 Guests can now meet Edna Mode in her very own meet-and-greet location: The Edna Mode Experience! 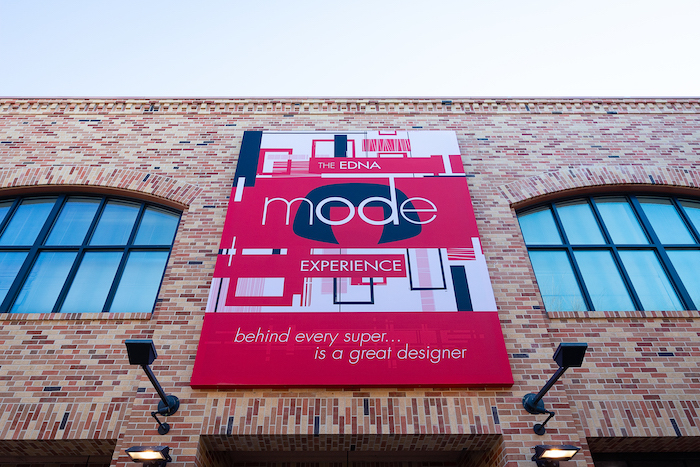 A billboard-sized sign marks the entrance to the Edna Mode meet-and-greet. Photo by Courtney Reynolds. Make sure to leave your capes at home! Photo by Courtney Reynolds. 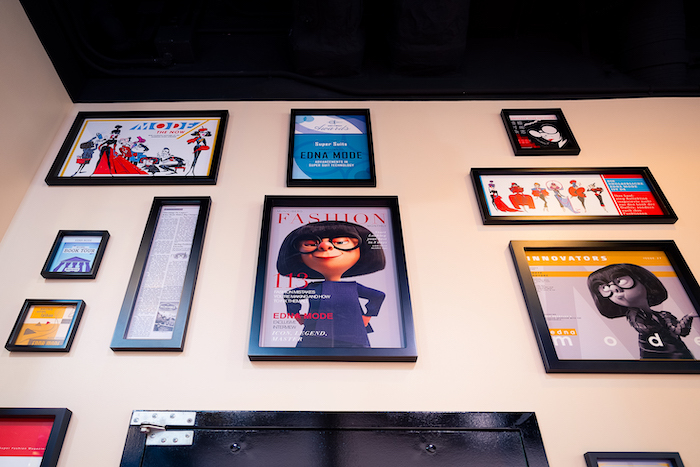 The interior is full of Edna memorabilia. Photo by Courtney Reynolds. At the end of the Municiberg block, guests can join Mr. Incredible, Elastigirl, and Frozone for The Super Shindig dance party! I love the retro-inspired signage you can find throughout Municiberg. Photo by Courtney Reynolds. 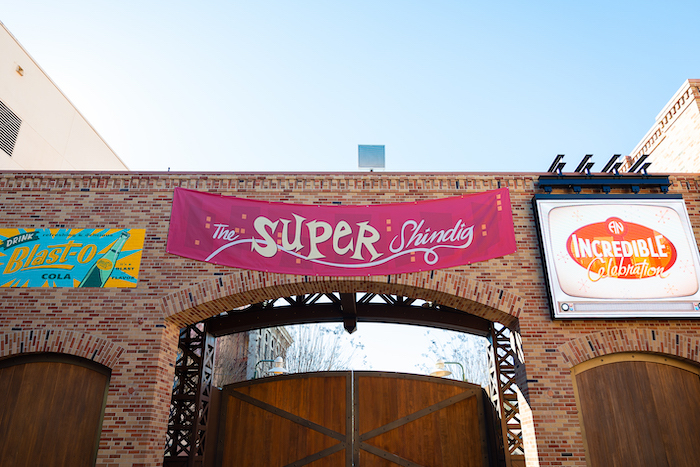 More retro-inspired signage can be found above the staging area for The Super Shindig dance party. Photo by Courtney Reynolds. 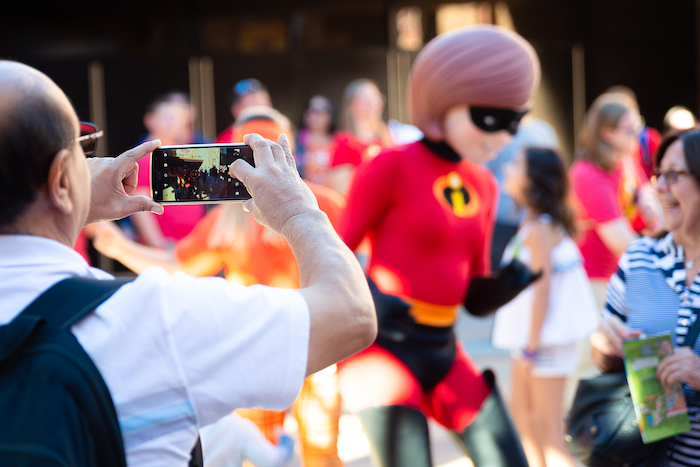 Adults and children alike will have fun dancing alongside The Incredibles! 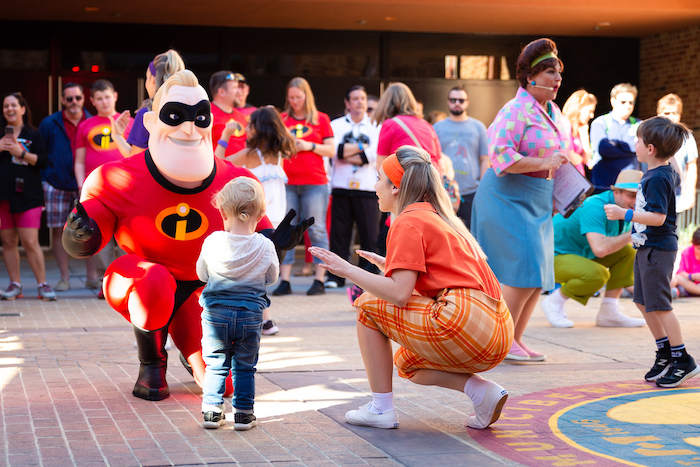 Guests dance alongside The Incredibles during The Super Shindig dance party. Photo by Courtney Reynolds. Don’t forget to grab your Jack-Jack Cookie Num Nums from the Municiberg Bakery on the way out! Our final stop for the media event was Magic Kingdom for Mickey & Minnie’s Surprise Celebration! We were immediately ushered into the Main Street Theater to experience the new Mickey and Minnie meet-and-greet. 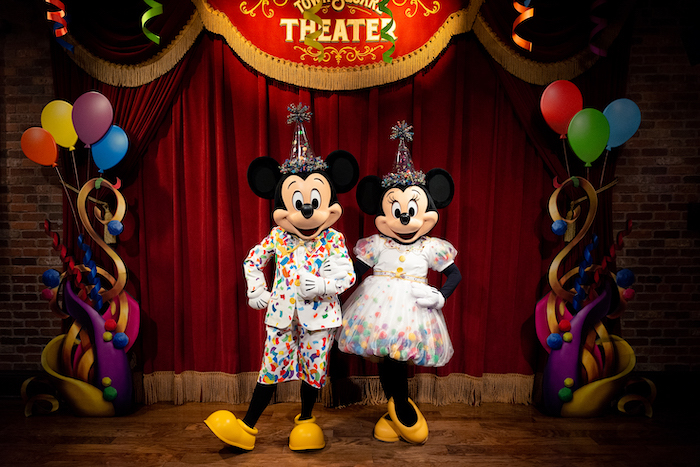 This is where you can meet Mickey & Minnie in their special birthday celebration outfits! 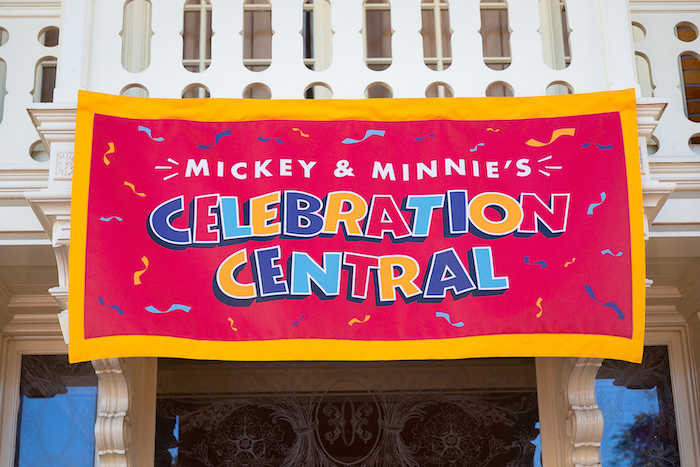 A new banner hangs in front of the Main Street Theater for Mickey & Minnie’s Surprise Celebration. Photo by Courtney Reynolds. The inside of the theater has been decorated with birthday-themed paintings and décor, including floor projections, balloons, and streamers. The interior of the theater is decorated with birthday-themed paintings. Photo by Courtney Reynolds. This is the only place you can see Mickey and Minnie with their birthday party hats on. Just look at how cute they both are! 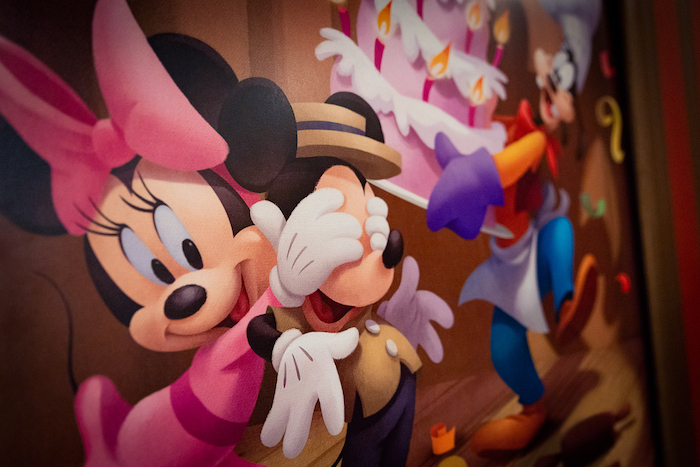 Guests can now meet both Mickey and Minnie at the Main Street Theater. Photo by Courtney Reynolds. 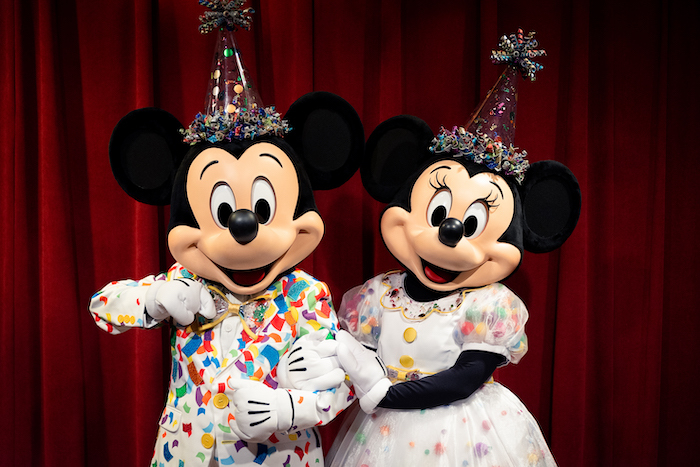 Throughout Mickey & Minnie’s Surprise Celebration, guests can meet rare characters outside the Main Street Theater by the flagpole. Each day there will be a different set of rare characters to meet. These characters will be unscheduled and unannounced, so you never know who you’ll have the chance to meet! While we were there for the media event, we spotted Nick Wilde and Judy Hopps outside meeting guests. Since then, we’ve heard reports of Phineas and Ferb, Robin Hood and Little John, and Remy from Ratatouille making appearances. The final stop for our media event was a front row seat for the new Move It! Shake It! Mousekedance It! Street Party. I loved the soundtrack for the most recent Move It! Shake It! Street Party, so I was worried that this new one wouldn’t live up to it. But I was wrong. I was so wrong! The performers in the new Move It! Shake It! Mousekedance It! Street Party have a whole new look. Photo by Courtney Reynolds. 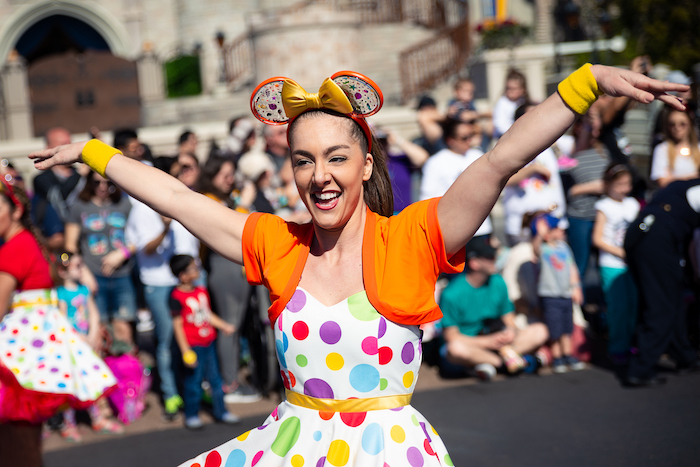 Everything about this new parade will shift you into party mode. 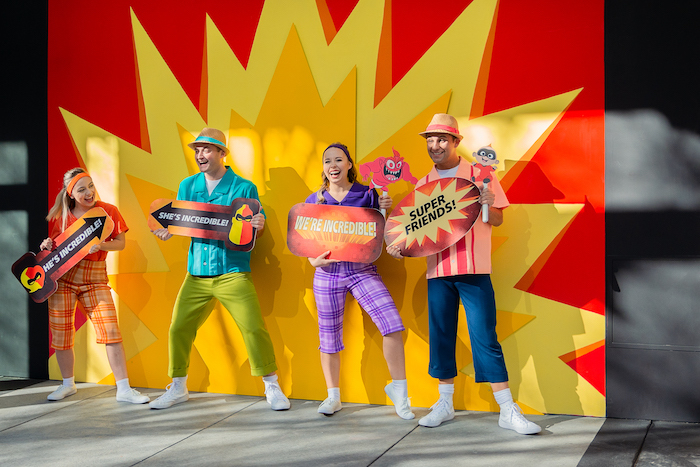 This will also be your chance to see rare characters like Jose and Panchito (from The Three Caballeros), Max Goof, Horace Horsecollar and Clarabelle Cow, and Clarice the chipmunk. You can see rare characters like Jose Carioca (from The Three Caballeros) in the new Move It! Shake It! Mousekedance It! Street Party at Magic Kingdom. Photo by Courtney Reynolds. 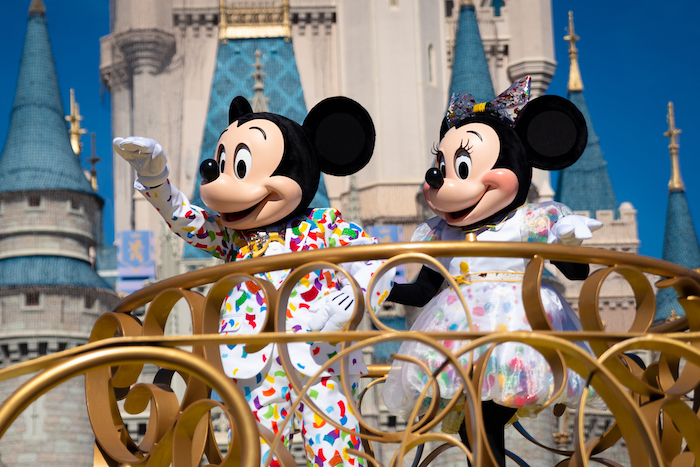 Mickey and Minnie are the stars of the show, of course, with special appearances by their best pals Donald, Daisy, Goofy, Pluto, Chip, and Dale. 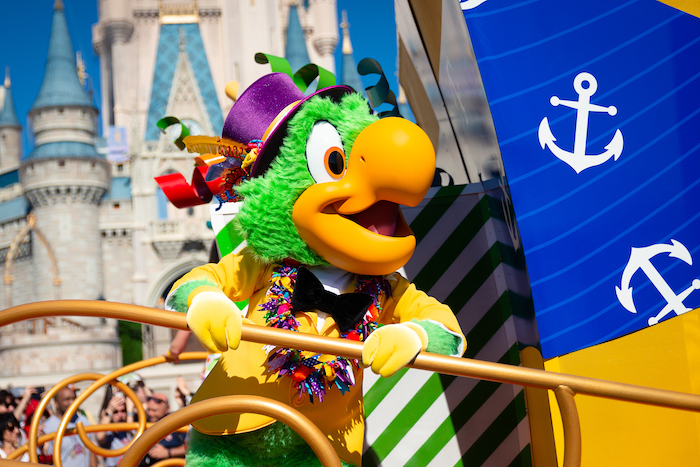 The parade features an extremely catchy theme song that I haven’t been able to get out of my head since it debuted last week. The song is “It’s a Good Time” by The Deekompressors. It’s on Spotify if you’d like to have a listen! Mickey and Minnie are the stars of the show in the new Move It! Shake It! Mousekedance It! Street Party. Photo by Courtney Reynolds. 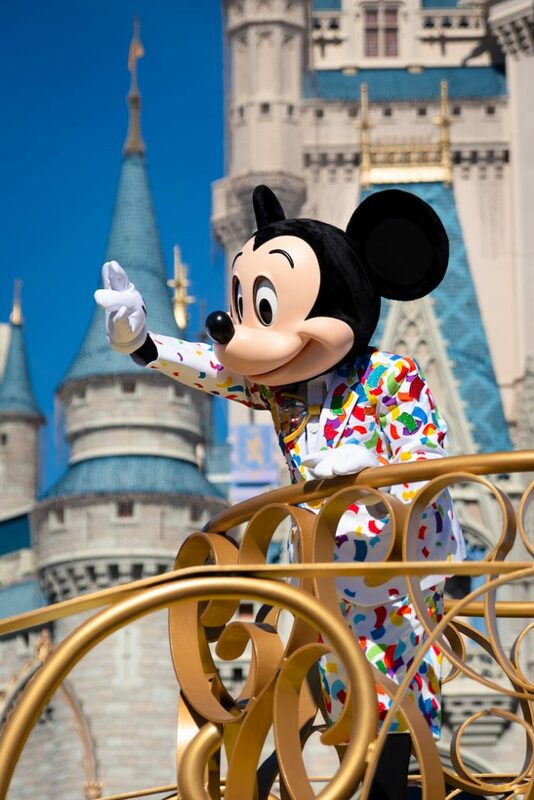 Mickey waves to guests during the new Move It! Shake It! Mousekedance It! Street Party. Photo by Courtney Reynolds. Once again, we would like to thank Disney for giving us this opportunity! With all these new experiences debuting this year, it’s a great time #NowMoreThanEver to visit Walt Disney World! We will keep you updated on all the new happenings across the resort throughout 2019. 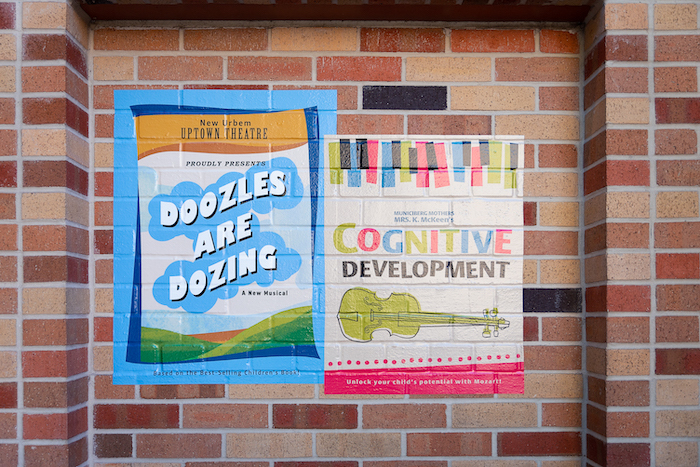 Check out our Festival of the Arts blog post for what’s new at Epcot right now!